Kids love science? 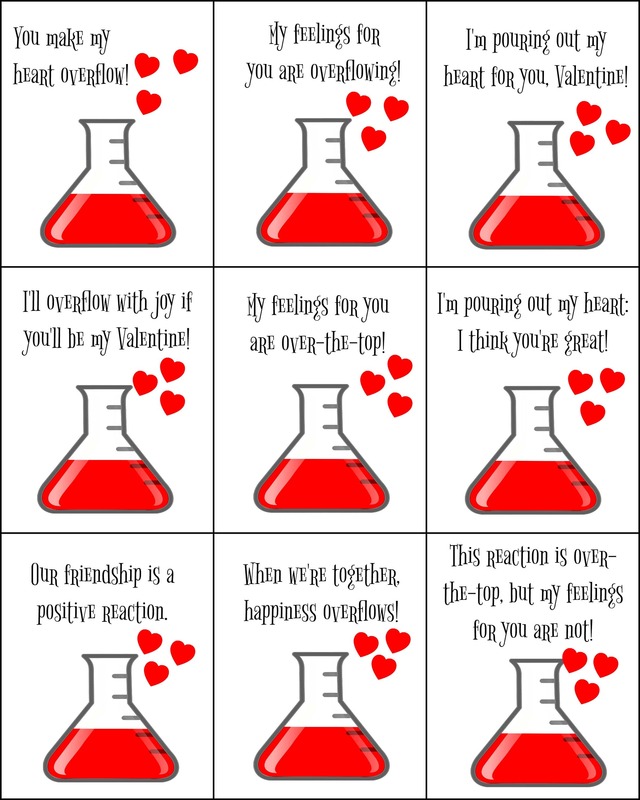 These educational science valentines for kids are perfect for sharing with classmates, friends, and family! If your kids love science, then they will adore these science valentines filled with fun puns about reactions. Go here to learn how to set up the experiment for your valentines. You will be directed to the download page. Click “Download: Science Valentines for Kids” to save your printable. You will also be sent an e-mail link to download your printable. Print the first page onto card stock paper, then flip it around and print the second page on the back so your friends can make their own science reactions at home! 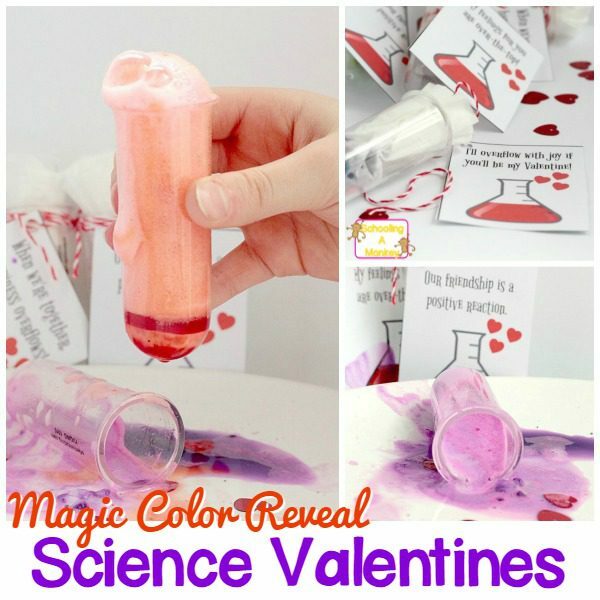 Go here to see how to make the complete science valentines!